Judge Davidson has taught first-year and advanced torts at the School since 1992. This summer he also taught Workers’ Compensation. Members of his class were among those who witnessed the proceedings. 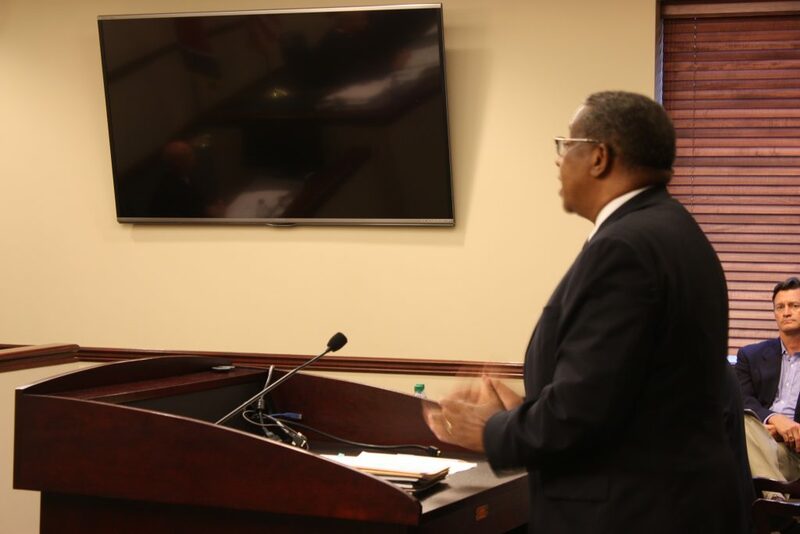 In addition to Judge Davidson, the Workers’ Compensation Appeals Board members are Timothy W. Conner of Knoxville and David F. Hensley of Chattanooga. 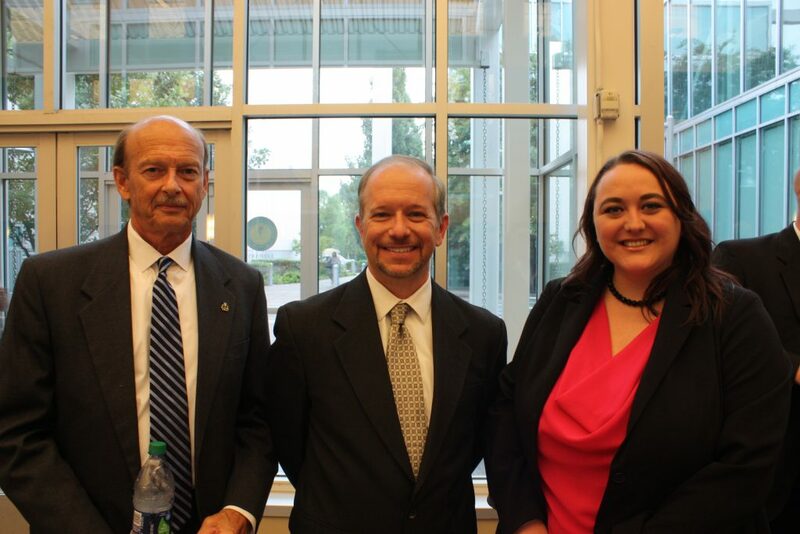 Prior to the oral arguments, the School hosted a reception for members of the appeals board, who took the opportunity to meet students and others attending. Timothy W. Conner graduated from Boston University and Wake Forest University School of Law. He practiced in the areas of premises liability, personal injury, employment discrimination, wills and estates, and workers’ compensation with the law firm of Leitner, Williams, Dooley, and Napolitan, PLLC, from 1992 to 2014. Judge Conner has extensive workers’ compensation experience and is a frequent speaker on workers’ compensation issues. 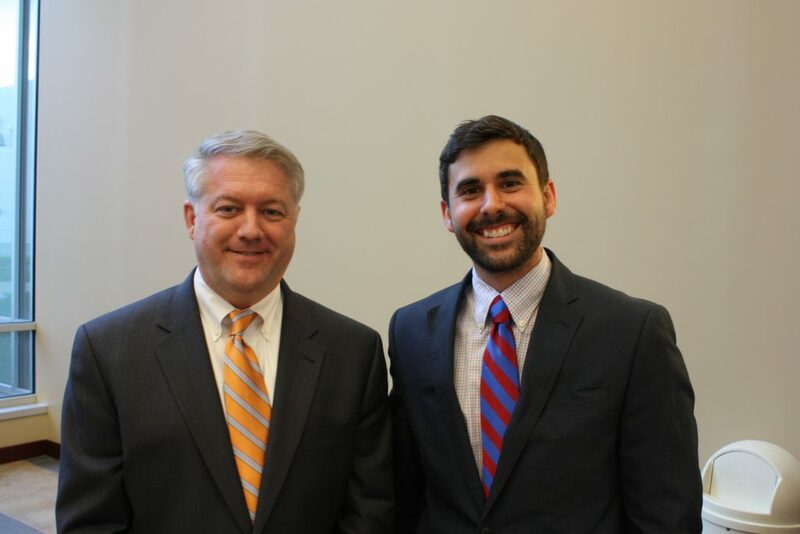 He has taught courses on Workers’ Compensation Law as an adjunct professor at the University of Tennessee College of Law, and he recently joined the adjunct faculty of Lincoln Memorial University’s Duncan School of Law, where he teaches legal writing. In 2014, he was appointed by Governor Bill Haslam to the Tennessee Workers’ Compensation Appeals Board and was reappointed in 2016. Judge Conner, an accomplished pianist and active in mission work with his church, is married and has two children. 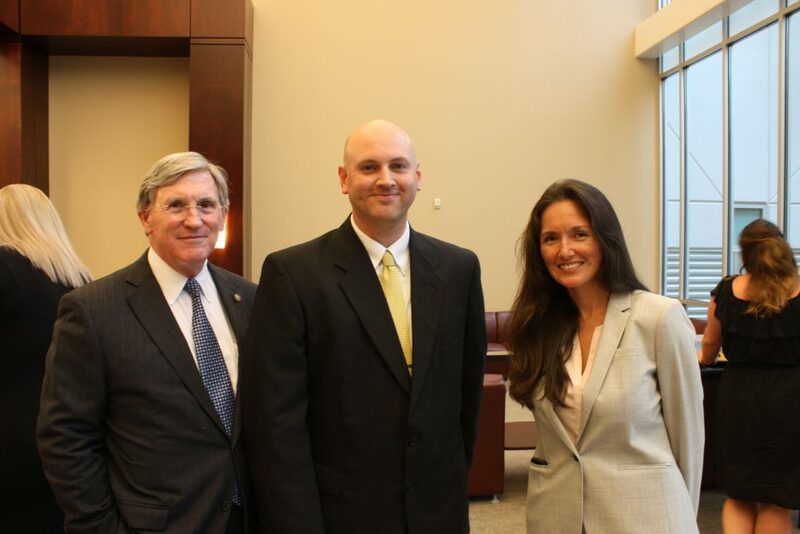 Marshall L. Davidson, III, graduated with honors from the University of Tennessee College of Law where he served on the Tennessee Law Review. He worked as a law clerk for the Tennessee Court of Appeals and the Tennessee Supreme Court and then spent time in private practice handling civil and criminal cases before serving as a Staff Attorney for the Tennessee Supreme Court for twenty-two years where he focused primarily on civil appeals. Under the supervision of the Chief Justice, Judge Davidson implemented and managed the Supreme Court’s system for handling appeals of workers’ compensation cases for roughly a decade. He has served as a Judge Advocate General Officer in the United States Army Reserves, taught at the collegiate and law school levels for many years, and has authored numerous law review and bar journal articles about appellate litigation and other legal topics. He is a Fellow in the College of Workers’ Compensation Lawyers, is active in the American Inns of Court, and is a CASA training volunteer working with children who are the subject of abuse or neglect proceedings. 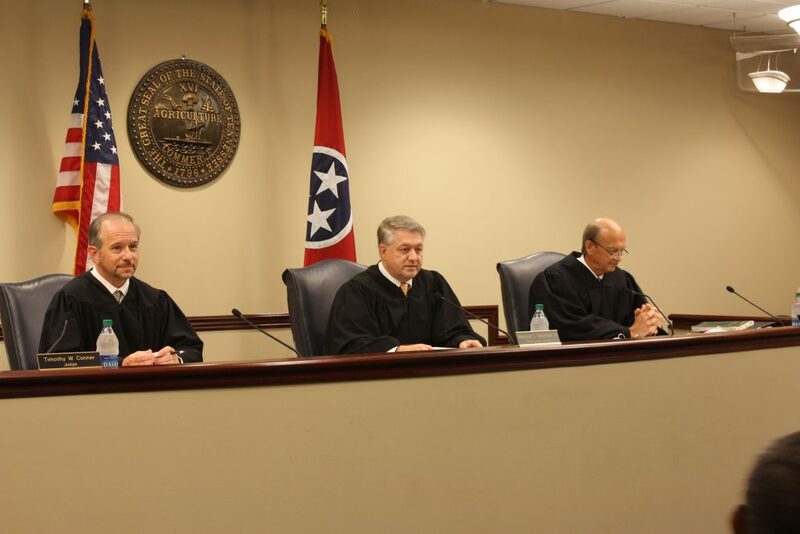 In 2014, Judge Davidson was appointed by Governor Bill Haslam to the Tennessee Workers’ Compensation Appeals Board where he serves as Presiding Judge. You can learn more about the Workers’ Compensation Appeals Board here.